Recently, a survey of Fortune 500 companies showed that companies with a higher percentage of women managers have better financial performance than companies with a lower percentage. This also holds true for industries such as technology and the Internet. 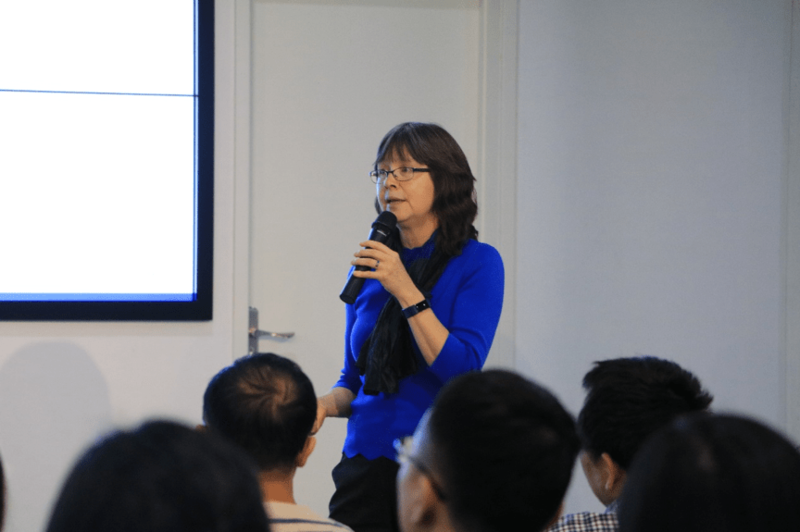 On December 6th, 2018 Women in Localization Beijing Chapter held their third salon event in the headquarters of Beyondsoft. Three female managers were invited to this event, giving talks on the topics of localization, language service, and career leadership. Although it was freezing cold outside of the room, participants showed great enthusiasm for this sharing. The first speaker was Mimi Hills, Director of Global Information Experience at VMware, where she manages both localization and technical publication teams. Ms. Hills is experienced and well-known in the localization industry. She gave a presentation called “How to Make Personal Branding Work for You in Localization”. In her talk, Ms. Hills mentioned that everyone has his/her own personal brand, which is a demonstration of his/her experience and skills. An effective personal brand will make a person stand out both in life and work. Therefore, we should value the establishment and maintenance of the personal brand. Ms. Hill’s speech was refreshing and inspirational, which attracted attention from all participants and provoked deep thinking. 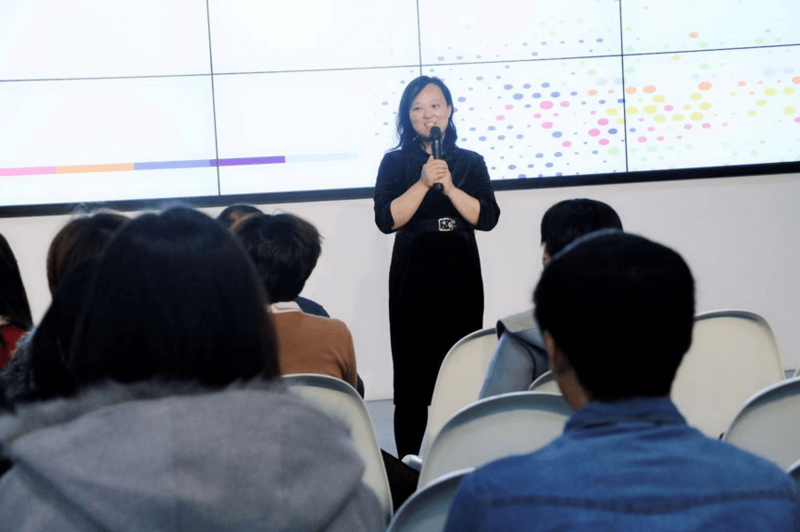 The second speaker was Jie Han, Vice President of Beyondsoft, who shared her work experience with the guests. She said candid and frank communication plays a vital role in the work relationship with your managers, coworkers or subordinates. Ms. Jie encouraged everyone to think constantly, learn continuously and reflect frequently at work as this is the practice she has been sticking to over the years. Also, she sets no boundaries for her career and always expects changes and new challenges at work. Her humorous speaking style lightened the atmosphere and filled the room with laughter and applause. The third speaker was Jinfeng Zheng, deputy managing director of RWS China. She gave a talk about language services for the intellectual property industry. 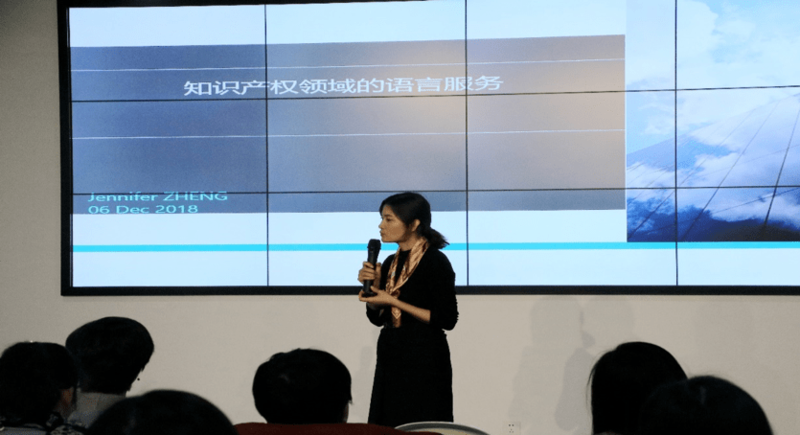 During her talk, Ms. Zheng presented a systematic introduction for the intellectual property industry, explaining its development process in China and the application of language services in this field. Her well-paced and elaborate sharing was very beneficial to the guests. This salon event attracted many guests who are interested in the localization industry and career development. They exchanged ideas, shared best practices and enhanced communication and collaboration, making this event more meaningful in promoting leadership and innovation.